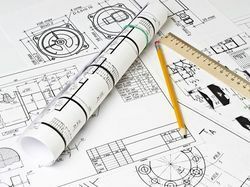 Our service range includes a wide range of engineering design and drafting services. Owing to our extreme prowess in the domain, we are rendering an extensive range of Engineering Design and Drafting Services. Engineering design and drafting is the forte of our organization as we are implementing the next generation CAD automation techniques to present top quality outputs. Leveraging the skilled expertise of our team members we are providing industry’s best design and drafting solutions for mechanical components and industrial equipment. Further, the best in industry services can be attained at a nominal price.